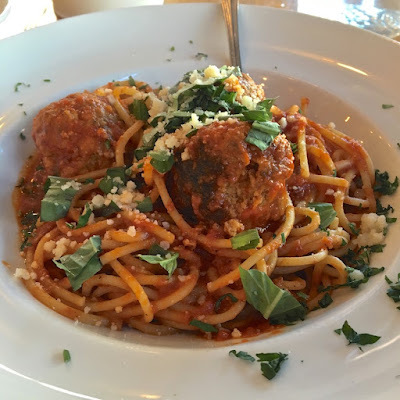 The chill is definitely in the air for fall which brings to mind a lot of comfort food to try out for the season. 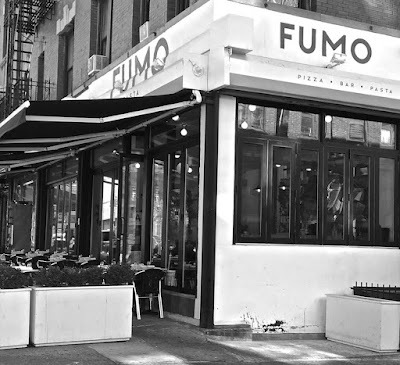 Probably one of the most familiar offering to have at an Italian eatery is a red sauce pasta dish which we have not had for some time so headed over to Fumo on Amsterdam by 139th Street to check out what was on the menu. 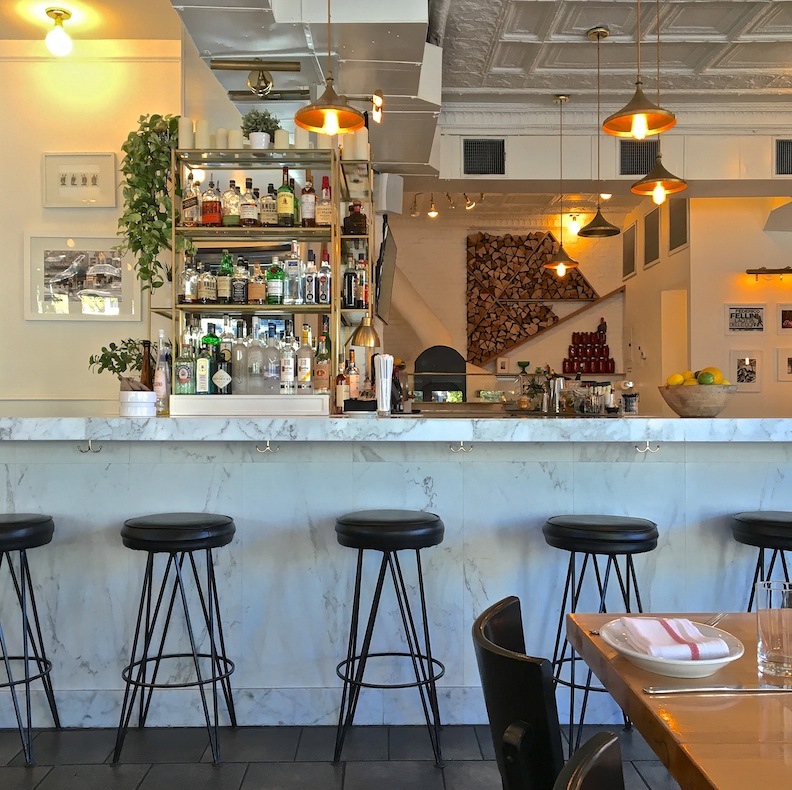 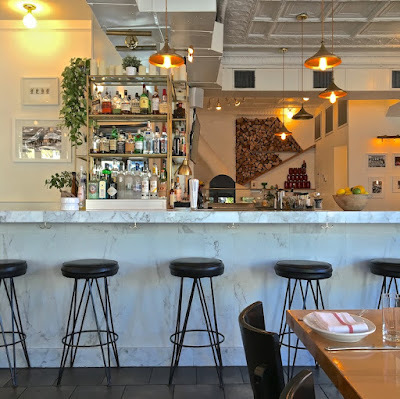 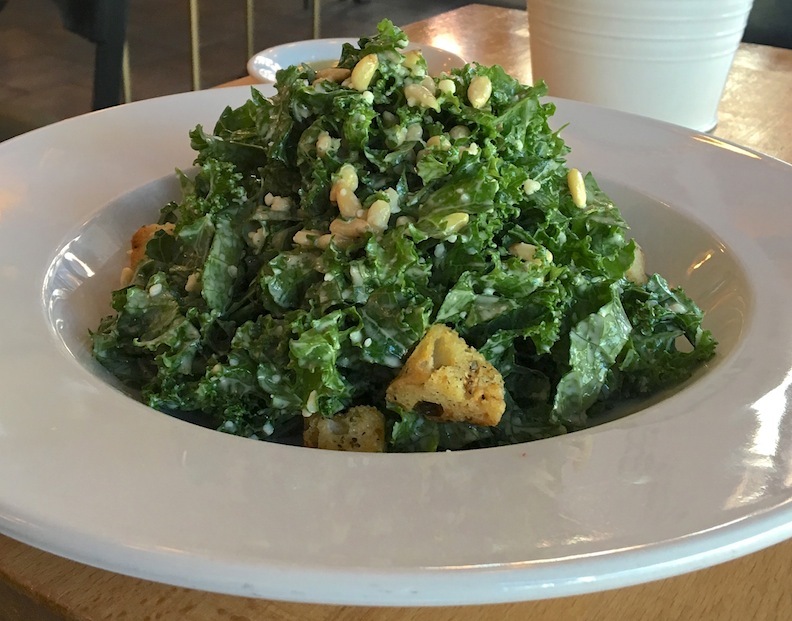 At $10 plate, the pasta dishes at one of Harlem's newest eateries is a pretty good deal so we ordered a kale caesar salad on the side to go with the meal. Out pasta arrived at the table with a generous amount of bright basil and served up with 3 meatballs that really hit the spot. Fumo's spaghetti was probably not made in house but nevertheless was worth trying out on a chilly fall afternoon. As far as our starter salad goes, the kale option was really the best we have had in Harlem since the attractive mound of greens for $8 was not only presented well but also had crunchy pine nuts which added a lot of depth to the flavor profile.